First the Question: The Christian cannot grow spiritually, cannot defeat Satan, cannot please God, cannot escape heresies; unless the Christian diligently, systematically, and prayerfully, studies the Holy Word of God, the Bible. True or False? Realize this, IF Acts 2:38 and Mark 16:16 is our Gospel for this Dispensation of Grace, THEN Titus 3:5-8 is not, and THAT is ridiculous! So, take the time to compare them. You see, it’s only as we study the Four Gospels and the Book of Acts in light of Ephesians 2:8-10, and Ephesians 3:1-11 can we know God’s salvation message and program for this parenthetical Age of Grace. Question: The LORD does NOT want the Christian to be a recluse as in a monastery. True or False? “If ye were of the world, the world would love his own; but because ye are not of the world, but I have chosen you out of the world, therefore the world hateth you” John 15:19. When we read of the exploits and achievements of the faithful saints of God in the eleventh chapter of Hebrews, we find it is recorded by God concerning them, “Of whom the world was not worthy” Hebrews 11:38. The world NEEDS the servants and faithful witnesses of God, but is NOT worthy of them. When the Grace of God finds a sinner it finds him or her, “having no hope, and without God in the world” Ephesians 2:12. It finds them walking “according to the course of this world, fulfilling the desires of the flesh and of the mind” Ephesians 2:2-3. It is needless to say that anyone who is walking according to the course of this world is walking contrary to the will of God; but the sinner can walk in no other way. How sad the sight, however, when the saint, The Child of God, is seen walking according to the course of this world. Many of the saints of God in this age are so worldly that you would never classify them as saints on account of their walk. Think about how that grieves Him who gave us ALL things! Concerning His disciples, Christ said, “They are not of the world, even as I am not of the world” John 17:14. But, He also said, “These are in the world”. The sinner is in the world and of the world; while the Child of God is in the world, but not of the world. Dwell on that. “Dearly beloved, I beseech you as strangers and pilgrims, abstain from fleshly lusts, which war against the soul!” 1 Peter 2:11. The Children of God are considered by God as strangers and pilgrims on Earth, but, whose citizenship is in Heaven, sojourning in a land where their King, the LORD Jesus Christ, has been rejected, and where He is still despised as no other one in all this world is. It was Christ, who said, “If the world hate you, ye know that it hated me before it hated you” John 15:18. The Children of God are instructed to walk as becomes saints in the midst of fornication, and all uncleanness, and covetousness, filthiness, foolish talking and jesting. Ephesians 5:2-3. Christ prayed for His disciples, “I pray not that thou shouldst take them out of the world, but that thou shouldest keep them from the evil” John 17:15. God wants His Children to keep themselves “unspotted from the world” James 1:27. “Ye adulterers and adulteresses, know ye not that the friendship of the world is enmity with God. Whosoever therefore will be a friend of the world is an enemy of God.” James 4:4. How difficult it is for some of God’s Children to give up the world; BUT if a Child of God loves Christ in sincerity and in truth and will be faithful in his testimony, he will not only give up the world, but the sinners of the world will give him up, when those sinners find that they cannot bring him to the place or compromise. Contact without contamination; association without fellowship, is the relation of the saint to the sinner. “For then must he need go out of the world” 1 Corinthians 5:10. Now, there are three Greek words translated into the English word, “World”. One is the inhabited earth; one is the created world, and the other is this Age. Christ died to deliver us from this present evil age. Galatians 1:4. Satan is the god of this age. 2 Cor. 4:4. And, remember, Demas did not decide to go to Thessalonica on the impulse of the moment. His decline was gradual. “Be not conformed to this world” Romans 12:2. The Apostle Paul said, “I yet pleased men, I should not be the servant of Christ.” Galatians 1:10. The desire to be popular with the world is a great temptation. Many Children of God, especially young people, want to avoid all appearances that would cause them to be considered peculiar. Let us always remember that Christians are traveling to heaven, while sinners are traveling in the opposite direction, toward the sorrows of the second death; that the Cross of Christ stands between the Child of God and the sinner. The Holy Spirit through the Apostle Paul wrote, “God forbid that I should glory save in the cross of our Lord Jesus Christ, by whom the world is crucified unto me, and I unto the world.” Galatians 6:14. This has always been one of my favorite Scripture verses. He said to His disciples: “In the world ye shall have tribulation; but be of good cheer. I have overcome the world.” John 16:33. “As He is, so are we in this world.” 1 John 4:17. “This is the victory that overcometh the world, even our faith.” 1 John 5:4. “If ye then be risen with Christ, seek those things which are above, where Christ sitteth on the right hand of God. Set your affections on things above, not on things on the earth.” Colossians 3:1-2. 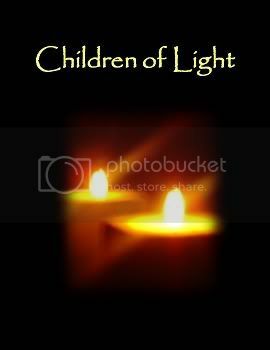 God hath shined in our hearts to give the light of the knowledge of the glory of God in the face of The LORD Jesus Christ, and He wants us to be “blameless and harmless, the sons of God, without rebuke, in the midst of a crooked and perverse generation, among whom we shine as lights in the world.” 2 Cor. 4:6; and Philippians 2:15. It is a good thing to ask ourselves this question: “Can others see Christ, in ME?”; for God says, “Ye are our epistle written in our hearts, known and read of all men.” 2 Cor. 3:2. “They may by your good works, which they shall behold, glorify God in the day of visitation” 1 Peter 2:12. “Walk in wisdom toward them that are without, redeeming the time” Colossians 4:5. Sinners are closely watching the steps of those who name the name of Jesus Christ. Because of his great sin, King David received these words from God: “Howbeit, because by this deed thou hast given great occasion to the enemies of the LORD to blaspheme, the child also that is born unto thee shall surely die” 2 Samuel 12:14. The sinful deeds of a Child of God will always cause the enemies of Christ, to blaspheme. Is that what you want?? The Almighty God, the LORD Jesus Christ, desires, “that ye should show forth the praises of Him who hath called you out of darkness into His marvelous light” 1 Peter 2:9. That you, “Love not the world, neither the things that are in the world. If any man love the world, the love of the Father is not in him. For all that is in the world, the lust of the flesh, and the lust of the eyes, and the pride of life, is not of the Father, but is of the world. And the world passeth away, and the lust thereof; but he that doeth the will of God abideth for ever.” 1 John 2:15-17. First the Question: The LORD does NOT want the Christian to be a recluse as in a monastery. True or False? Question: Satan has RELIGIOUS children, and sows them as tares among the wheat, the Children of God. True or False? This is the instruction that God has given unto the saint: “Put on the whole armor of God, that ye may be able to stand against the wiles of the devil” Ephesians 6:11. The Christian who fails to recognize the power, subtlety, devices, and wiles, of Satan will suffer defeat at his hands. The Apostle Paul said concerning Satan, “Lest Satan should get an advantage of us; for we are not ignorant of his devices” 2 Cor. 2:11. He wrote to this same congregation these words, “But I fear, lest by any means, as the serpent beguiled Eve through his subtlety, so your minds should be corrupted from the simplicity that is in Christ” 2 Cor. 11:3. The same Holy Spirit, who dictated to these two servants when they wrote, also used the Apostle James to say these words: “Submit yourself therefore to God. Resist the devil, and he will flee from you” James 4:7. Years ago I heard an evangelist pray to God in these words, “O Lord, rebuke and defeat for us his satanic majesty.” Then after I had studied the Scriptures I realized why he used the title. I could then understand what Paul meant when he said “Satan himself is transformed into an angel of light. Therefore it is no great thing if his ministers be transformed as the ministers of righteousness” 2 Cor. 11:13-15. Jude records the fact that “Michael the archangel when contending with the devil, he disputed about the body of Moses, durst not bring against him a railing accusation, but said, ‘The Lord rebuke thee” Jude 9. The Lord Jesus Christ, of course, could say with authority, “Get thee behind me, Satan” Luke 4:8. “Get thee hence Satan” Matthew 4:10. But every human being UNLESS equipped with the spiritual armour of God and protected by the power that is in Christ Jesus, is just as helpless in the hand of Satan as is a little mouse in the claws of a cat. If Michael could not rebuke and defeat Satan, surely no human being can. A while back I spoke to a group concerning Satan one evening and the pastor’s six‑year‑old girl was on the front seat. Much of the message went into her little heart. The next morning when her mother went to the door to call her from bed, she saw the little girl shaking her fist and mumbling with a very serious expression on her face. After the mother had stood for a moment she said, “What was mama’s little girl saying?” The little girl replied, “Mama, I was just saying, if the devil bothers me today, I am going to knock the ‘stuffin’ out of him.” Some poor Christians are trying to do this, but he is too much for any of us. The task is too great. Only Divine power can defeat the supernatural power of “that old serpent, called the Devil, and Satan, which deceiveth the whole world” Revelation 12:9. The Lord Jesus Christ spoke of the sinner as being the house of the strong man (Satan), and said that He alone could bind the strong man and take his house. Matthew 12:26-33. The moment the Word is preached to the sinner, Satan tries to cause the seed to fall by the way side and then he devours the seed. Mark 4:15. It is Satan, as the prince of the power of the air, that controls the motives, desires, thoughts, acts, and words of the unsaved of this world, make NO mistake about that, and learn to recognize it. Ephesians 2:2-3. It is Satan, as the god of this age, that blinds the minds of the poor unbelieving lost sinners, lest the light of the glorious gospel of Christ should shine into their hearts. 2 Cor. 4:4. Now pay attention, Satan has RELIGIOUS children, and sows them as tares among the wheat, the Children of God. Matthew 13:38. John 8:44. It is quite often difficult to tell a cultured, moral, religious, agent of Satan, tare in the congregation FROM the wheat. When the LORD Jesus Christ died on the cross he destroyed Satan’s power of death. Hebrews 2:14. But his final defeat will not come until this same Jesus binds Satan and puts him into the bottomless pit for one thousand years and ultimately casts him into the lake of fire. Revelation 20. The everlasting fire was originally prepared for the devil and his angels. Matthew: 25:41. Satan can even now cause a saint to lie to the Holy Ghost. Saints, for sins in the flesh, were delivered to Satan for the destruction of the flesh. Acts 5:3. 1 Corinthians 5:5. Satan can hinder the most consecrated saint. 1 Thessalonians 2:18. Satan can make a church officer fall through pride, especially if a novice is appointed to this office. 1 Timothy 3:6. Many of these cases have come under our observation. We see this all the time. There is no use trying to understand or explain the “Why” of Satan. It is a mystery, but it will all work out to the glory of the Son of God. We DO know that Satan is a person, that he was a perfect creature of God, and that he fell from heaven because of his revolt against his Creator. Christ said: “I beheld Satan as lightning fall from heaven” Luke 10:18. However, currently, Satan still does have access to Heaven. THAT will be resolved later. Revelation 12:7. There was something besides any evil influence from within that tempted The LORD Jesus Christ in the wilderness and offered Him all the kingdoms of the world. Luke 4. Matthew 4. Christ had NO evil within to tempt Him. He was holy, harmless and undefiled. The LORD Jesus Christ made no mistake when He acknowledged Satan as the prince of the world. John 12:31. Now this is important, The Satan of the Scriptures is quite different from the devil of tradition. Satan is more than evil. He is a person with mighty power. He is the enemy of God and His holiness, of The LORD Jesus Christ and His disciples. As the accuser of the brethren he accuses them night and day. Revelation 12:10. The saints overcome him by the blood of the Lamb, and by the word of their testimony. Revelation 12:13. Satan afflicts with sickness. Luke 13:16. Job 2:6-7. 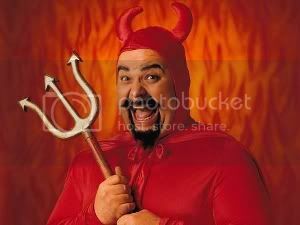 Satan is directly or indirectly responsible for all of the sin, sickness, sorrow, crime, poverty, and death in the world. Satan entered into Judas, the son of perdition, to betray the Lord Jesus Christ. And he will also enter again the son of perdition, the Antichrist, or man of sin, who is to be Satan’s man. 2 Thessalonians 2:4-9. The pastor’s little girl who heard the story of Satan and the story of The LORD Jesus Christ, said to her mother when saying her prayer, “Mother, from now on when Satan knocks at my heart’s door, I’m going to say, Lord Jesus, you open the door.” Only in Christ is there victory over this constant and relentless enemy. So let us read carefully over and over concerning the armour that God has provided for us and let us put it on. Ephesians 6:10-18. Satan wanted to sift Simon as wheat. Luke 22:31. Satan bound with an infirmity for many years a daughter of Abraham. Luke 13:16. He was on hand when the sons of God went forth to worship God. Job 1:4-6. He afflicted Job. Job 2:7. Satan has led many of God’s children into his religious healing schemes in these last days. And let’s never forget, the Antichrist is coming with the power of Satan performing miracles. 2 Thessalonians 2:9-13. Take a moment and read what is yet to take place on this earth when Satan comes down to reign with the beast and in the antichrist. Revelation 12:7-15. But now read, and note, Colossians 2:15 and what Christ did to principalities and powers. “Put on the whole armour of God, that ye may be able to stand against the wiles of the devil. For we wrestle NOT (a regular mistake for most Christians is looking at the person and NOT the evil spirit behind that person) against flesh and blood, but against principalities, against powers, against the rulers of the darkness of this world, against spiritual wickedness in high places. Wherefore take unto you the WHOLE armour of God, that ye may be able to withstand in the evil day (the day that the moment of temptation is on you), and having done all, to stand” Ephesians 6:11-13. Every human being UNLESS equipped with the spiritual armour of God and protected by the power that is in Christ Jesus, is just as helpless in the hand of Satan as is a little mouse in the claws of a great big cat. First the Question: Satan has RELIGIOUS children, and sows them as tares among the wheat, the Children of God. True or False? The personality and deity of the Holy Spirit, the third Person of the Trinity, are clearly set forth in the Scriptures. Christ said, “And I will pray the Father, and He shall give you another Comforter (or Paraclete).” John 14:16. This is the same word translated “Advocate.” 1 John 2:2. When Ananias lied to the Holy Spirit, he lied to God. Acts 5:3-4. “And the Holy Spirit said” Acts 13:2. 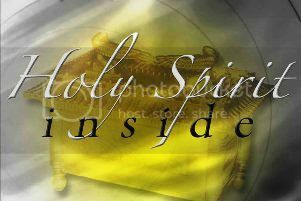 “The Holy Spirit Himself maketh intercession for us with groanings which cannot be uttered” Romans 8:26. In the Old Testament Scriptures the Second and Third Persons of the God-head were latent; in the New Testament Scriptures they are patent. Christ, beginning with the Book of Matthew is patent; The Holy Spirit, beginning with the Book of the Acts is patent. The dispensation of the Holy Spirit was ushered in after the resurrection of the Son of God. 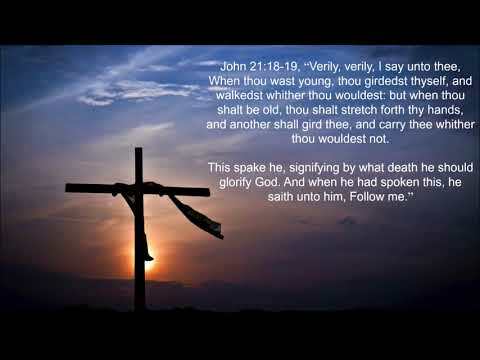 Before the Son of God went to the cross “the Holy Spirit was not yet given” John 7:39. Therefore the Holy Spirit is a Person as truly as is God, the Father. Now, PAY ATTENTION, It is unscriptural for any Christian to pray for, or to seek for, more of the Holy Spirit. However, It is all right to pray that the Holy Spirit may have more of the child of God. It is likewise unscriptural to ask God to send down the Holy Spirit from Heaven. When Christ was on earth He said, “I came down from heaven.” The Bible says that the Holy Spirit has been sent down from heaven. 1 Peter 1:12. How foolish would John have been, had he looked up to heaven and prayed for God to send down from heaven His Son, when John’s head was leaning on His bosom at the time. It is equally as foolish for a Christian with the Holy Spirit in his bosom to pray that the Third Person be sent down from heaven today. Note: in Ephesians 1:3 and Ephesians 1:19-23 that the Christian has all blessings and power and therefore it is unscriptural to seek a second blessing called Holy Spirit baptism. The Holy Spirit bears witness of the resurrection of the believer’s sonship. Romans 8:16. He is the believer’s assurance of his incorruptible inheritance at the LORD’s coming. Ephesians 1:14. Therefore he is the witness of the LORD’s return. Ephesians 4:30. Just as truly as there is one Father and one Son, there is one Spirit, and one Body. Ephesians 4:4. And, just as truly as there are infidels in the congregations preaching another Jesus, there are fanatics in the congregations preaching another spirit. 2 Cor. 11:4. The world cannot receive the Spirit. John 14:17. The Spirit convicts the world of sin, righteousness and judgment. John 16:8. If the sinner under conviction yields to the Sinbearer, he is drawn by the Spirit to the Son. John 6:44. Then he is born of the Spirit. John 3:5. As no one can work for salvation, which is a free gift from God, no one can work for the Holy Spirit. We receive the Holy Spirit by the hearing of The Faith. Galatians 3:2. The Holy Spirit is given unto believers. Romans 5:5. Therefore we do not have to agonize or go through physical contortions or have others put hands on us in order to receive the Holy Spirit. I pray I am being clear on this! It’s important. No Christian is ever sealed because of an interval between the time of believing and the time of sealing; but every Christian is sealed by the Holy Spirit, because he believes the Gospel of Grace of his salvation. Moreover he is sealed unto the day of redemption. Ephesians 4:30. No Christian could possibly have the experience of the certain disciples whom Paul met in Ephesus. They had previously received John’s message and baptism, which have had no place in the Body of Christ since that time. Acts 19:1-5. Paul’s question should be correctly translated, “Having believed, received ye the Holy Spirit.” Acts 19:2. Take NOTE: The anointing which the believer receives when first he believes abides in him. 1 John 2:27. There is one Spirit and one baptism. Ephesians 4:4. When an individual is born into the family of God, by the work of the Holy Spirit, he is taken into, and made a member of the Body of Christ. The work of the Holy Spirit which puts the believer into the Body of Christ is called, “Baptized in or by the Holy Spirit” 1 Corinthians 12:13. People who call themselves Christians are doing all sorts of peculiar things today in an effort to receive the Holy Spirit baptism. Some are being taught that believers receive the Holy Spirit WITH them when saved by faith in the finished work of God, repentance and water baptism; and then they must pray and tarry and yield for a second work of grace in order to receive the Holy Spirit IN them. THIS teaching is contrary to the Word of God and has wrecked the faith and sanity of many converted people. Some of these false teachers often quote the experience of Peter and the Eleven who were saved with Christ in the days of His flesh, and then were baptized by the Holy Spirit after His resurrection. Let us remember that they were His disciples before His death, that is, before the Holy Spirit was given. John 7:39. They were with Him while He was under The Law, preaching the Kingdom of Heaven message to the lost sheep of the House of Israel. Galatians 4:4. Matthew 10:1-5. Those disciples had the unique experience of living, as disciples of Jesus, before His death and resurrection in the Old Testament and also after His resurrection in the New Testament. As it would be impossible historically to have such an experience today, it would likewise be impossible for any believer to have their experience in receiving the Holy Spirit as an act subsequent to regeneration or conversion. Now, the Christian, who is sealed with the Holy Spirit, can grieve the Holy Spirit and can quench the Holy Spirit. Ephesians 4:30. 1 Thessalonians 5:19. It is the duty of every Christian to walk in the Spirit. Galatians 5:16. All Christians are temples of the Holy Spirit but very few of them are walking in the Spirit in the degree that they should. When a Christian walks in the Spirit he manifests the Fruit of the Spirit, against which there is no law. Galatians 5:22-23. He fulfills the righteousness of the law. Romans 8:4. All true Christians have been baptized by the Holy Spirit, but how few today are obeying the Word of God in this command, “Be filled with the Holy Spirit” Ephesians 5:18. The Christian who has the sweetest fellowship with the LORD, who experiences the greatest joy of salvation, who serves God with the greatest power, who triumphs over the world, the flesh and the devil, is the one who is filled with the Holy Spirit. The believer is thus filled just in the proportion that he is yielded to the will and way of the LORD in worship, prayer, Bible study, testimony, and practical Christian service. Tarrying Meetings for members of the Body of Christ to receive the Holy Spirit are unscriptural. However, Prayer Meetings for an increase of The Faith, willingness and obedience to receive the power of Ephesians 1:19-23 are altogether Scriptural. No believer receives the Holy Spirit on the installment plan. Believers filled with the Holy Spirit will exalt Christ. 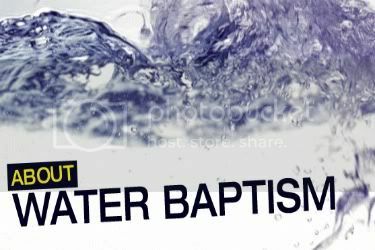 During the “Acts” period, the thirty plus years from Acts 1:1 to Acts 28:31, there were several baptisms, “Holy Spirit baptism” in fulfillment of Joel’s prophecy, “water baptism” and “baptism into the death of Christ” Acts 2:16-38. Acts 19:1-7. Romans 6:3-4. Joel prophesied concerning the “last days” particularly concerning Israel’s kingdom age. Joel 2:28-30, concerning the outpouring of the Holy Spirit, will not be fulfilled during this “grace” period. Whatever we may have in mind when we speak of Holy Spirit baptism, let us never forget that the anointing of the Holy Spirit is a once‑for‑all anointing. 1 John 2:27; that the sealing, anointing and baptism, of, in, or by, the Holy Spirit is always a past experience with the true Child of God! Compare the “death” baptism of Christ in Luke 12:50 with the baptism of Romans 6:3, Colossians 2:12 and Ephesians 4:5. “But this spake He of the Spirit, which they that believe on Him should receive: for the Holy Ghost was not yet given; because that Jesus was not yet glorified” John 7:39. Read carefully 2 Thessalonians 2:13 and 1 Corinthians 6:11 and see how the sanctifying work of the Holy Spirit precedes justification and salvation. “What! Know ye not that your body is the temple of the Holy Spirit, which is in you, which ye have of God, and ye are NOT YOUR OWN? For ye are bought with a price: therefore glorify God in your body, and in your spirit which are God’s.” 1 Corinthians 6:19-20. The Holy Spirit bears witness of the resurrection of the sonship of the believer. Romans 8:16 . He is the assurance of the believer of his incorruptible inheritance at the coming of the LORD. Ephesians 1:14 . Therefore he is the witness of the return of the LORD. Ephesians 4:30 . First the Question: There are several churches in the Bible, but God has one and only one Church for today. That Church is the Body of Christ. True or False? Due to ALL the speculation, and the wrong and often felonious teaching being spewed out by so many pastors, preachers, teachers, and so-called theologians, regarding the Last Trump of 1 Corinthians 15:51-52 being the same as the Seventh Trumpet Judgment of Revelation 11:15, we submit to you, here, our exegesis, our teaching, on the matter. 1 Corinthians 15:51-52, "Behold, I shew you a mystery; We shall not all sleep, but we shall all be changed, in a moment, in the twinkling of an eye, at the last trump: for the trumpet shall sound, and the dead shall be raised incorruptible, and we shall be changed." AND, Revelation 11:15, "And the seventh angel sounded his trumpet; and there were loud voices in heaven"
Each seventh Seal, Trumpet, and Vial in the Book of Revelation is marked off from the preceding six by unmistakable signs, sufficient to show us that they are resumptive rather than continuous. They each go over the SAME ground to give particulars not contained in the others, bringing us to a crisis; and giving the other events in the corresponding period, but from a different point of view…The background details. 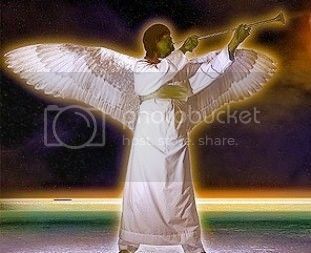 In the Book of Revelation, we see in Revelation 11:15, this Trumpet called the "seventh" Trumpet, and it is the "last" of this special series. But it does NOT mean that there will be none after: or, that a trumpet sounding BEFORE it may not also be called the "last," relative to another subject. In 1 Cor. 15:51-52, we read of "the last trumpet: for a trumpet shall sound." In 1 Thess. 4:16, we read that the LORD "shall descend from heaven with a shout, with the archangel's voice, and with the trump of God." This is the "last" Trumpet with regards to the Body of Christ, but NOT the last absolutely. The Trumpet that is sounded in 1 Cor. 15:51-52 will be sounded LONG BEFORE the Trumpet judgments of the Book of Revelation begin. The Trumpet sounded in 1 Cor. 15:51-52 will be sounded in order to raise His sleeping Body members, and take them up with the living Body members, to be with Him for ever. The Body joined to its Head! Now, pay attention, there will be ANOTHER great trumpet AFTER the Great Tribulation, immediately connected with the LORD's Revealing. See Matt. 24:31. This is AFTER this Revelation 11:15 "seventh Trumpet”, for that Apocalypse (revealing) is recorded in Revelation 19. So, we can CLEARLY see that the seventh Trumpet in Revelation 11:15 is NOT the "last Trump," absolutely, but ONLY relatively; for it is only the last of the particular series of seven seen in Revelation. FURTHERMORE, this trump of Revelation 11:15 is not called "the last": nor is it necessary for us to call it the last. However, the Trump in 1 Cor. 15:51-52, IS called The Last with reference to the Body of Christ. It is the Trump which shall close our connection with the earth; and therefore there is a true sense in which it is OUR, (members of the Body of Christ), last Trump. The Trump of 1 Cor. 15:51-52, is the same that is mentioned in 1 Thess. 4:16. We have had so many positive proofs that the Seven Trumpets in the Book of Revelation belong to another Dispensation altogether, therefore we cannot read this into our "calling on high" (Phil. 3:14), and confuse it with the trumpet which shall bring on the last of God's plagues and end up His judgment of the earth. The sounding of the Trumpet in Revelation 11:15 produces great activity and stir in Heaven. Again the Trumpet in Revelation 11:15 is sounded IN HEAVEN, (and NOT in the air above the earth). It is nothing less than the proclamation of the coming Coronation of earth's rightful King (compare 2 Sam. 15:10 and 1 Kings 1:39). It is the signal that, at long last, the hour has come to herald the glorious news of the setting up and establishing of God's Kingdom on earth. It is the announcement that the prayer of the ages, "Thy kingdom come", is about to receive its glorious answer. For THIS is the subject of the loud voices in heaven. The seventh Trumpet in Revelation 11:15 is NOT the "last Trump," absolutely, but ONLY relatively; for it is only the last of the particular series of seven seen in Revelation. FURTHERMORE, this trump of Revelation 11:15 is not called "the last": nor is it necessary for us to call it the last, because it is NOT the last. However, the Trump in 1 Cor. 15:51-52 , IS called The Last with reference to the Body of Christ, and rightly so. It is the Trump which shall close our (members of the Body of Christ) connection with the earth; and therefore there is a true sense in which it is OUR, (members of the Body of Christ), last Trump. The Trump of 1 Cor. 15:51-52 , is the same that is mentioned in 1 Thess. 4:16. Question: While on earth the LORD Jesus was proclaiming the PROPHESIED Kingdom of Heaven, BUT, had not one word to say to the 12 Apostles about the BODY of Ephesians 1:18-22. True or False? 9) IN EPHESIANS AND COLOSSIANS WE LEARN THAT THE HOLY SPIRIT SPEAKS OF THE MYSTERY IN CONNECTION WITH THE BODY OF CHRIST. THE WORD “MYSTERY” MEANS “SECRET”. IT IS APPARENT and CLEAR THEN, THAT UP TO THE TIME THAT PAUL WROTE EPHESIANS AND COLOSSIANS, GOD HAD KEPT THE TRUTH CONCERNING THE BODY OF CHRIST A SECRET. IT WAS GOD’S SECRET “HID IN GOD FROM THE BEGINNING OF THE WORLD”. Ephesians 3:9. IT WAS THE SECRET WHICH “HATH BEEN HID FROM AGES AND FROM GENERATIONS. Colossians 1:26. THE TWELVE APOSTLES DID NOT USE THE WORD “BODY”, AND MADE NO ATTEMPT TO REVEAL TO SAINTS THE SECRET WHICH PAUL MADE KNOWN IN HIS PRISON EPISTLES. 11) JESUS OF NAZARETH ON EARTH WAS FULFILLING (FILLING OUT) THE LAW AND THE PROPHETS. Matthew 15:8. HIS MINISTRY WAS CONFIRMING WHAT THE PROPHETS HAD FORETOLD. Romans 15:8. WHILE ON EARTH THE LORD JESUS WAS PROCLAIMING THE PROPHESIED KINGDOM OF HEAVEN; BUT HAD NOT ONE WORD TO SAY ABOUT THE BODY OF EPHESIANS 1:18-22, OF WHICH HE WAS TO BE THE HEAD. THE TWELVE APOSTLES CONTINUED WITH THIS “CONFIRMATION” MINISTRY ON THE DAY OF PENTECOST AND THROUGH THE BOOK OF ACTS. Hebrews 2:3-4. WHAT THEY PREACHED ON THE DAY OF PENTECOST WAS IN FULFILLMENT OF THE PROPHECIES MADE TO ISRAEL CENTURIES BEFORE. Acts 2:16 and Acts 2:30-33. THE KINGDOM OFFERED TO ISRAEL, IN ACTS 2:19-26 WAS A KINGDOM ABOUT WHICH ALL THE PROPHETS, FROM MOSES AND SAMUEL HAD WRITTEN. Acts 3:24-25. THEREFORE THE TWELVE APOSTLES WERE NOT OFFERING, IN ACTS 3, THE SAME KINGDOM CONCERNING WHICH PAUL WROTE IN EPHESIANS, COLOSSIANS AND II TIMOTHY. THE DISPEN­SATION OF THE KINGDOM OF THE HEAVENS” COULD NOT BE THE “DISPENSATION OF THE MYSTERY”, MENTIONED IN EPHESIANS 3:9. THE LORD ON EARTH GAVE THE “KINGDOM” KEYS TO THE TWELVE; BUT THE RISEN CHRIST IN HEAVEN GAVE PAUL THE “DISPENSATION OF THE GRACE OF GOD”. Ephesians 3:1-2. THE TWELVE WERE MINISTERS TO ISRAEL, AND ARE TO YET SIT ON TWELVE THRONES AND JUDGE THE TWELVE TRIBES OF ISRAEL. Matthew 19:28. Galatians 2:9. PAUL WAS THE LORD’S MESSENGER TO THE GENTILES, WITH THE “UNSEARCHABLE RICHES OF CHRIST” AND THE “MYSTERY”. GOD, NOW, WANTS ALL MEN TO SEE WHAT IS THE “DISPENSATION OF THE MYSTERY”, HID IN GOD UNTIL PAUL REACHED ROME AND WROTE EPHESIANS, ABOUT 64 A.D.
12) Thus we see that prophecy spoke of the death and resurrection of Christ; that the prophets and covenants foretold the Kingdom blessings of Israel, the hope and calling of Israel, and the Gentiles who were to be blessed with them. Romans 15:10. And we see that Jesus of Nazareth and the Twelve Apostles carried on this ministry promised by prophets and covenants. And that in Paul’s “Prison Epistles” God is speaking of a different kingdom, hope, and calling purposed in Christ before there were any prophets. First the Question: While on earth the LORD Jesus was proclaiming the PROPHESIED Kingdom of Heaven, BUT, had not one word to say to the 12 Apostles about the BODY of Ephesians 1:18-22. True or False? Question: There is only ONE Bible Church of Christ in this Dispensation of Grace, and that is the Body of Christ. True or False? 5) THERE IS ONLY ONE BIBLE CHURCH OF CHRIST IN THIS AGE OF GRACE. THAT CHURCH IS SCRIPTURALLY DESIGNATED “THE BODY OF CHRIST”. Ephesians 1:22-23. Colossians 1:24. CHRIST IS THE HEAD OF THIS ONE CHURCH. THE HEAD IS SEATED FAR ABOVE PRINCIPALITY AND POWER IN THE HEAVENLIES. Ephesians 1:19-22. THE MEMBERS OF THAT ONE BODY ARE LIKEWISE SEATED IN THE HEAVENLIES. Ephesians 2:6. EVERY SINNER SAVED BY GRACE IS A MEMBER OF THAT ONE BODY, WHETHER OR NOT HE BELONGS TO ANY DENOMINATIONAL OR UNDENOMINATIONAL CHURCH ORGANIZATION. “JOINING THE CHURCH” IS NOT A SCRIPTURAL EXPRESSION. 6) It is a Scriptural fact, acknowledged by all true Bible-believing Christian preachers, that nothing is required for membership in the One true Bible Church, which is the Body of Christ, but saving Faith in the crucified, resurrected, and glorified Christ. They are all agreed that God, by a Divine baptism NOT made with hands, adds members to the Body of Christ; and, that if water baptism were required by God for membership in the Body of Christ, salvation would not be by Grace and Faith alone, but by God’s work, PLUS man’s work. No religious ceremony of any kind is required, either to save a believing sinner, or to give him membership in the Body of Christ. Therefore, it should be apparent to any student of the Scriptures that if a group of men require for membership in their church a religious ordinance not required for membership in the Bible Church, the churches are not one and the same. 7) MEMBERS OF THE BODY OF CHRIST ARE NOT SAVED ACCORDING TO THEIR WORKS, BUT ACCORDING TO GOD’S PURPOSE AND GRACE WHICH WAS GIVEN THEM IN CHRIST JESUS BEFORE THE FOUNDATION OF THE WORLD. 2 Timothy 1:9. THIS IS CALLED "GOD’S ETERNAL PURPOSE IN CHRIST". THIS PURPOSE WAS IN GOD’S MIND AND GOD’S PLAN AGES BEFORE HE MADE HIS COVENANT WITH ABRAHAM. BUT ONE GREAT QUESTION, WHICH PERHAPS REMAINS UNANSWERED IN THE MINDS OF MOST CHURCH MEMBERS IS: “WHEN DID THE BODY OF CHRIST BEGIN HISTORICALLY?" THE POST-MILLENARIAN TEACHES THAT THE BODY OF CHRIST, THE CHURCH OF GOD, AND ISRAEL ARE ALL THE SAME CHURCH IN DIFFERENT STAGES. SOME PRE-MILLENARIANS ARE SURE THE BODY BEGAN WHEN CHRIST BREATHED UPON HIS APOSTLES. John 20:22. OTHER PRE-MILLENARIANS TEACH THAT THE CHURCH BEGAN ON THE DAY OF PENTECOST. OTHER PRE-MILLENARIANS SAY, AFTER THE THIRTEENTH CHAPTER OF ACTS. AND STILL OTHERS SAY, AFTER THE WORDS OF PAUL RECORDED IN THE CLOSE OF ACTS, IN ACTS 28:25-28. WHAT DO YOU SAY? AND WHAT IS YOUR SCRIPTURAL PROOF? 8) The word “CHURCH” is a very indefinite term; and before applied to any specific company of people, the student of the Scriptures should find in the Scriptures the particular company of people to whom the term applies. The Greek word, used more than 100 times, is “EKKLESIA”. In the last few verses of Acts 19, it is “assembly”; and there it is referring to an unlawful assembly, or mob, of anti-Christian heathen. A company of unsaved and idolatrous Gentiles, assembled centuries before Christ came to earth, would have been called a “church”. Therefore, we see that the word “Ekklesia” is so indefinite in its meaning, that we must find the Scriptural qualifications before we can prove any doctrinal points by the use of the word “church”. In Acts 7:38 we learn that the Israelites marching to Canaan nearly 1500 years before Christ was born, was called the “Church in the Wilderness”. We might say with Scriptural authority, that in the coming kingdom age, Israel, redeemed and restored under the promise of the New Covenant, will be a New Covenant Church. The Church of this current dispensation is the Church, which is His Body, the Body of Christ. First the Question: There is only ONE Bible Church of Christ in this Dispensation of Grace, and that is the Body of Christ. True or False? Question: The epistles to the Ephesians and Colossians were written after the close of the Book of Acts. True or False? Answer: TRUE! The Epistles to the Ephesians and Colossians were written after the close of the Book of Acts, when the Apostle Paul was a prisoner of the LORD Jesus Christ. "For this cause I Paul, the prisoner of Jesus Christ for you Gentiles, if ye have heard of the Dispensation of the Grace of God which is given me to you-ward" Ephesians 3:1. OK, so, out of the 744 responses we received to this question, only 44.4% got it right! We have had requests from a number of our friends to present some very simple lessons concerning the Church of this Dispensation of Grace, which is called the “Body of Christ”, and the relation of other Dispensations to the “Dispensation of the Mystery”. Ephesians 3:9. We appreciate that this is not an easy task, for the reason that the great majority of Christians do not seem to have the interest or desire to diligently study the Word of God with open hearts and unprejudiced minds. It is almost impossible for loyal denominationalist, (whether they be Baptist, Pentecostal, Methodist, Roman Catholic, etc. ), to be as the Bereans, and accept as truth that which is contrary to their denominational creeds and the traditions of church fathers. But we are sure going to try in this 3 part message to present very simply some plain facts clearly taught in the Bible. 1) IN THE FOLLOWING SCRIPTURES WE ARE TAUGHT THAT THE APOSTLE PAUL WAS CHOSEN BY CHRIST TO BE THE APOSTLE, THE PREACHER, THE TEACHER, THE WITNESS, AND THE PRISONER OF THE LORD JESUS TO THE GENTILES. Galatians 1:16, Galatians 2:7, Acts 9:15, Romans 15:16, Romans 11:13, 1 Timothy 2:7, 2 Timothy 1:11, Ephesians 3:1, Ephesians 3:8, Colossians 1:24-28. 2) The Apostle Paul was NOT one of the twelve apostles who companied with Jesus during the years of His ministry on earth, and therefore was NOT present with Christ on earth when Christ committed to Peter the keys of the Kingdom of Heaven. Matthew 16:16-18. Neither was he present with the twelve apostles, after the resurrection of Christ, when the Eleven received from the resurrected Christ, the Great Commission. The Apostle Paul received his “Grace of Christ” message, the Ministry of Reconciliation, the Uncircumcision Gospel, the truth concerning the Mystery and the Body of Christ, in fact all of his commissions, by visions and revelations, AFTER Christ had gone back to heaven. Acts 9:15, Galatians 1:12, Galatians 1:17, Acts 22:17-21, Ephesians 3:3, and 2 Cor. 12:17. 3) IN EPHESIANS 1:22-23 WE READ OF THE CHURCH WHICH IS HIS BODY. IN COLOSSIANS 1:24 WE READ “FOR HIS BODY’S SAKE, WHICH IS THE CHURCH”. THE EPISTLES TO THE EPHESIANS AND COLOSSIANS WERE WRITTEN AFTER THE CLOSE OF THE BOOK OF ACTS, WHEN PAUL WAS A PRISONER OF THE LORD JESUS CHRIST. Ephesians 3:1. NO OLD TESTAMENT PROPHET EVER FORETOLD ANYTHING CONCERNING THE BODY OF CHRIST. IT WAS PURPOSED IN CHRIST BEFORE THE FOUNDATION OF THE WORLD. 4) When the twelve apostles were sent by Christ on earth they were specifically instructed to, “go not unto the Gentiles”, but ONLY unto Israel. Matthew 10:5. Some years after the death and resurrection of Christ it was decided in the conference of Apostles that the Twelve would preach the Israelitish Gospel to ISRAEL. Galatians 2:9. Peter preached to the household of Cornelius, a God-fearing, Israel-loving, devout, respectable, religious Gentile, who lived in Israel’s land. But there is NO record in Acts that he preached to any other Gentiles. There is NO record in Acts that any of the Twelve preached outside of the land of the Jews, or to any Gentiles, except the one message to Cornelius. The Apostle Paul was given the responsibility of preaching Grace to the Gentiles. Galatians 2:9. First the Question: The epistles to the Ephesians and Colossians were written after the close of the Book of Acts. True or False? Question: There is NO unpardonable sin in this Dispensation of Grace. True or False? The LORD Jesus pronounced an awful judgment upon Israel before He went to His death. “Wherefore ye be witnesses unto yourselves, that ye are the children of them which killed the prophets. Fill ye up then the measure of your fathers. Ye serpents, ye generation of vipers, how can ye escape the damnation of hell?” Matthew 23:31-33. “Behold, your house is left unto you desolate.” Matthew 23:38. “And when ye shall see Jerusalem compassed with armies, then know that the desolation thereof is nigh.” Luke 21:20. “But when the king heard thereof, he was wroth; and he sent forth his armies, and destroyed those murderers, and burned up their city.” Matthew 22:7. This seemed to be the end of the Nation of Israel. But something happened, for note the difference in the message of Acts 3:17, “And now, brethren, I wot that through ignorance ye did it, as did also your rulers.” Then the first three words of Acts 3:19, “REPENT YE THEREFORE” Your rulers did it through ignorance. And note Acts 3:18, the death of Christ had to be. In other words, the Son of man had to be sinned against. “Ye men of Israel, hear these words; Jesus of Nazareth, a man approved of God among you by miracles and wonders and signs, which God did by Him in the midst of you, as ye yourselves also know: Him, being delivered by the determinate counsel and foreknowledge of God, ye have taken, and by wicked hands have crucified and slain” Acts 2:22-23. “The kings of the earth stood up, and the rulers were gathered together against the LORD, and against His Christ. For of a truth against thy holy child Jesus, Whom thou hast anointed. Both Herod, and Pontius Pilate, with the Gentiles, and the people of Israel, were gathered together. For to do whatsoever thy hand and thy counsel determined before to be done.” Acts 4:26-28. “Then Peter and the other apostles answered and said, We ought to obey God rather than men. The God of our fathers raised up Jesus, Whom ye slew and hanged on a tree. Him hath God exalted with His right hand to be a Prince and a Saviour, for to give repentance to Israel, and forgiveness of sins. And we are His witnesses of these things; and SO IS ALSO THE HOLY SPIRIT, Whom God hath given to them that obey Him.” Acts 5:29-32. “Therefore let all the house of Israel know assuredly, that God hath made that same Jesus, Whom ye have crucified, both LORD and Christ.” Acts 2:36. Before the Jews killed Christ, they were “serpents.” After their awful deed they were tenderly addressed as children. THAT sin was pardonable. The Holy Spirit was God’s witness to Israel that He had made Jesus both LORD and Christ; that He had exalted Jesus to be a Prince and a Savior to give repentance and forgiveness of sins to Israel. But now, if Israel sinned against the Holy Spirit, what? 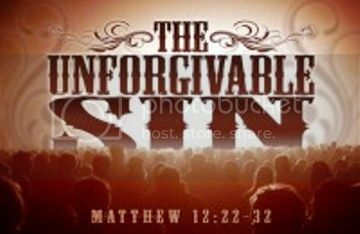 The Unpardonable Sin! They did resist and blaspheme against the Holy Spirit and sinned. As the result of the unpardonable sin Israel was set aside. There was a very great difference between “the generation of vipers and serpents” of Matthew 23:33 and “the children of the covenant and the prophets” in Acts 3:25. For some years after the death of Christ the disciples and apostles preached to none but Jews ONLY. Christ came unto His own and His own received Him not. John 1:11. Some of His own received Him while He was on earth. More of His own received Him during the first seven years after the Pentecost of Acts 2. Thus we see, beyond the shadow of doubt, that no unsaved Gentile or unsaved Jew, in this Dispensation of Grace ever commits the unpardonable sin. Israel committed the pardonable, AND, THE unpardonable sin, one before Christ went to Calvary and the other after the Holy Spirit came as a witness to Israel. Acts 5:32. First the same Question: There is NO unpardonable sin in this Dispensation of Grace. True or False? 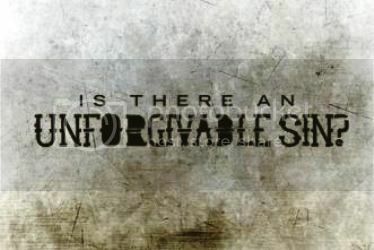 SO, CAN A CHRISTIAN COMMIT THE UNPARDONABLE SIN? Let us note what happened to the saints who sinned in Corinth. “For he that eateth and drinketh unworthily, eateth and drinketh damnation to himself, not discerning the LORD’s body. For this cause many are weak and sickly among you, and many sleep. For if we would judge ourselves, we should not be judged. But when we are judged, we are chastened of the LORD, THAT WE SHOULD NOT BE CONDEMNED WITH THE WORLD.” 1 Corinthians 11:29-32. “There is therefore NOW no condemnation to them that are in Christ Jesus.” These sinning saints could NOT be condemned with the world. Note again one of the mentioned sins of the Corinthians saints, in 1 Corinthians 6:6-8, “But brother goeth to law with brother, and that before the unbelievers. Now therefore there is utterly a fault among you, because ye go to law one with another. Why do ye not rather take wrong? Why do ye not rather suffer yourselves to be defrauded? Nay, ye do wrong, and defraud, and that your brethren.” In spite of their sins, the Holy Spirit wrote to them, “What? know ye not that your body is the temple of the Holy Spirit which is in you, which ye have of God, and ye are not your own?” 1 Corinthians 6:19. How about Hebrews 6:17-18. God cannot lie. He promised us eternal life before the world began. Titus 1:2. And note 2 Timothy 1:9, “Who hath saved us, and called us with an holy calling, not according to our works, but according to His own purpose and Grace, which was given us in Christ Jesus before the world began.” God wants Christians to KNOW that they have eternal life. “These things have I written unto you that believe on the name of the Son of God; that ye may KNOW that ye have eternal life, and that ye may believe on the name of the Son of God.” 1 John 5:13. If a man BELIEVES the Gospel of Grace and RECEIVES the LORD Jesus Christ, he receives the Holy Spirit. Then IF he could fall away, he could not be renewed. BUT NOW read carefully, Galatians 6:1, Luke 17:3-4, and 1 John 2:1. Can a so called backslider, a Christian who has sinned, be renewed? OF COURSE! Most assuredly. Every Christian believes that a penitent backslider who confesses his sins will be renewed. Therefore Hebrews 6:4-6 does not refer to such an one. Got it? To be SURE you got it, read again Matthew 12:31-32. And read WITH these verses Luke 23:34, Acts 3:15-18, Acts 3:25-26.